Recently, the Union Ministry of Ayurveda, Unani, Siddha and Homeopathy (AYUSH) issued a booklet that advised pregnant women to “detach themselves from desire, anger, attachment, hatred and lust,” as well as “shun non-vegetarian food to deliver a healthy baby”. It immediately sparked off a kerfuffle in the media as suitably peeved progressives slammed it as yet another attempt by the Hindu right at insinuating antiquated, sexist, and unscientific ideas into the body politic. That said, while there is good reason to be cautious about the rise of right-wing orthodoxy in recent times, the idea that a person’s life history—her physical and emotional experience, her dietary habits, her social milieus—may leave a lasting impression on her as well as on her descendants is passé no more. 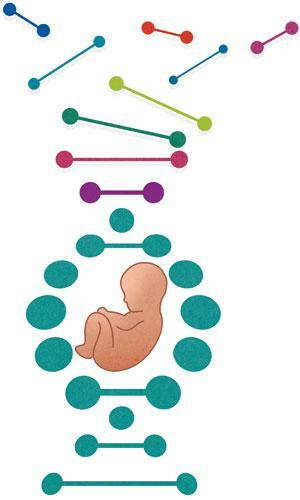 Epigenetics, as this new emerging science is called, tries to make sense of traits and phenomena, such as persistently skinny babies in a population, or the recurrence of a disease, that cannot be explained by DNA alone: there is something else going on beyond the DNA’s ken that’s making it behave out of line. Hence, if scientists can seriously entertain the possibility that the disproportionate number of underweight babies born to African-American women might have something to do with their slave past, to dismiss the idea that certain actions of a pregnant mother might affect her baby as pure nonsense may seem a little cavalier. 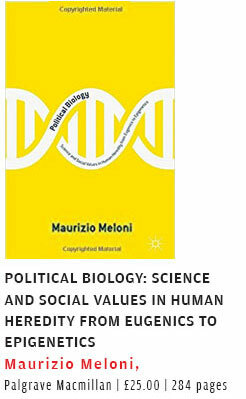 This subtext of epigenetics is the immediate provocation behind Maurizio Meloni’s Political Biology: Science and Social Values in Human Heredity from Eugenics to Epigenetics, a fascinating social and political history of human heredity spanning over 150 years from Darwin to the present moment. Eschewing the whiggish illusion of history as a collection of linear events that move inevitably towards progress, he uses concepts such as dispersion, epistemic break, switch and caesuras to weave an intricate narrative in which the script, in this case ideas and statements about human heredity, unfolds in surprising and unforeseen ways under changing social and political circumstances. Meloni, who teaches social theory at the University of Sheffield in the United Kingdom, begins his story around the publication of Darwin’s Origin of Species. This is a time when Darwin’s theory of evolution by natural selection is up against Lamarck’s ideas about inheritance of acquired traits. It’s true that most of us have a linear and highly abridged sense of history, which often makes us assume that intimately connected ideas, such as evolution and genes, would have arisen in some predetermined logical progression. But, as Meloni enlightens us, truth, more often than not, is elliptical. Darwin, for instance, believed even traits changed by conditions of life were passed on, even as, unbeknownst to the larger scientific community, a German friar called Gregor Mendel was laying out the laws of heredity with his pea plant experiments. Meloni argues that Mendel’s fellow scientists, indeed Mendel himself, could not appreciate the significance of his results as no one before 1900 could divorce nature from nurture in their minds. However, not knowing the nitty-gritty of heredity didn’t deter scientists from pontificating on it. Meloni recounts how in the last decades of the 19th century three scientists, notably Francis Galton, August Weismann (introduced the idea of germ-plasm) and Wilhelm Johannsen (he coined the words "genotype", "phenotype" and "gene"), engineered a decisive shift from soft heredity (nature plus nature) to hard here-dity (only nature). This sundering of heredity from environment was captured by a catchy metaphor: the seed of nature always prevails over the soil of nurture. Galton, who was trained as a statistician, believed that scientists should actively influence public policy along scientific lines for society’s larger good. As part of his political rhetoric, Meloni writes, “he attacked rank privilege in the name of talent.” Little wonder, Galton is known as the father of eugenics, as his case for a meritocratic society sat well with his championing of hard heredity. The stage was set for eugenics to spread its wings. Meloni next takes us on remarkable journey into the wild adventures in the eugenics movement from 1900 to 1945. Positive eugenics entailed improving human race by preferential perpetuation of the fittest. But the definition of the fittest depended on the eugenicist’s political ideology, ranging from a successful capitalist to a successful revolutionary. However, the trouble with positive eugenics was that technologies needed to carry out the project, such as IVF or sperm banks, were still a thing of the future. Hence, most nations in the west carried out horrendous experiments in the name of negative eugenics—forced sterilisation, denial of citizenship based on IQ tests, hormonal treatment of homosexuals, and, under the Nazis, the infamous Aktion T4 euthanasia program in which over 70,000 sick and mentally-ill Germans, not just Jews, were gassed or injected with poison. Interestingly, the bug of eugenics infected minds across the political spectrum. Meloni describes in engrossing detail how the cat’s cradle between political ideology and hard heredity produced all manner of eugenicists, from left Lamarckians (make living conditions better), to right Lamarc-kians (weed out the sick, stupid, insane and degenerate), to left Mendelians (propagating germplasm suited to socialism), and right Mendalians (improving race using quality germplasm). Meloni’s next stop is the post-war period 1945-2000 when the modern syn-thesis of Darwinian evolution and Mendelian genetics is enshrined in the form of the central dogma of molecular biology—that genetic arrow moves in only one direction: DNA-RNA-Protein. 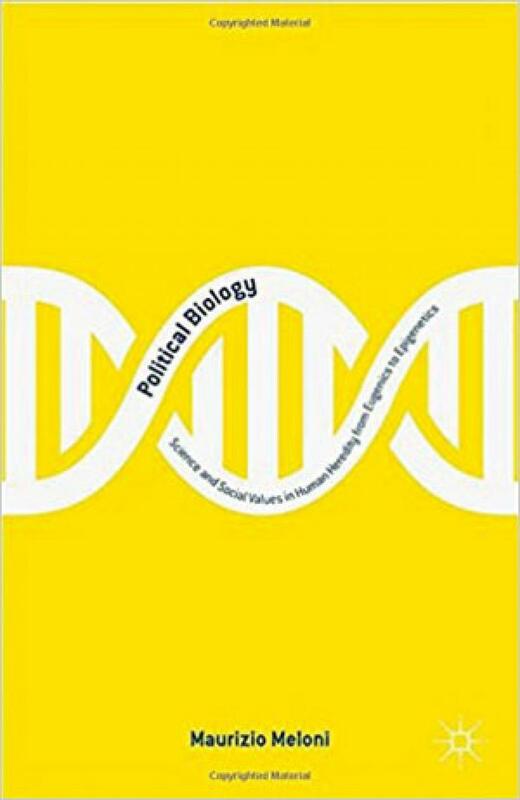 Again, Meloni argues that post war, “the politics of biology abandoned the bold social engineering spirit of interwar eugenics and repositioned itself successfully within the liberal-democratic framework.” He believes the revised contract is robust having survived the return of eugenics in the garb of sociobiology and evolutionary biology. However, Meloni is curious about the political ramifications of epigenetics and the return of soft heredity. Even as he discerns in epigenetics, a liberating potential against sexism or racism, he advises against complacency: “Today, as throughout history, scientific theories do not decide political values.” In the light of the rise of reactionary forces in South Asia, the AYUSH advisory, however innocuous, warrants a more alert skepticism on the part of citizens. Meloni’s writing style may seem a little dense to some, especially to the lay reader, as it is written for scholars. While it is certainly essential reading for students of history and politics of science, I would urge anyone who feels overwhelmed by the pervasiveness of modern biology and its medical imprint, and who wish to make sense of it, to at least give it a cursory read. This story was first published published in the July 1-15, 2017 issue of Down To Earth magazine.